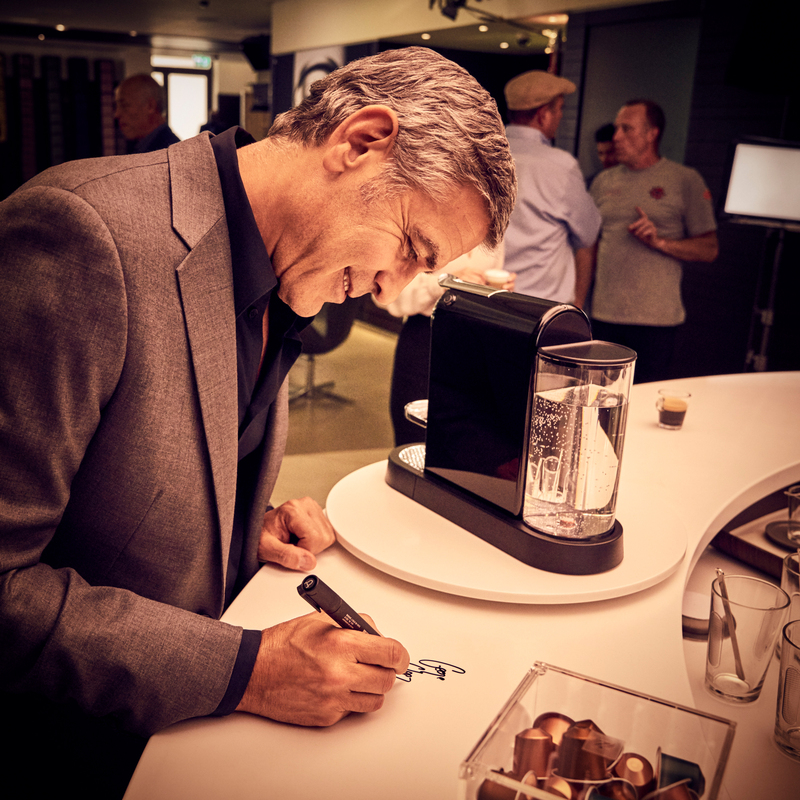 Nespresso is running “Change Nothing”, the latest installation in a ten-year campaign featuring actor George Clooney. 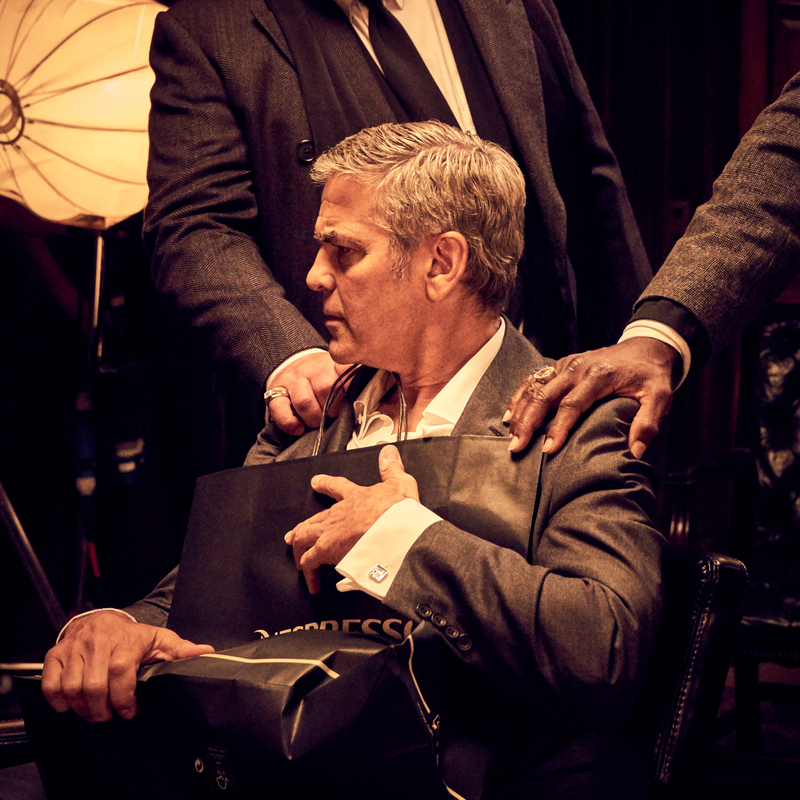 Debuting on 25th September 2016 at www.nespresso.com/whatelse, the Nespresso Change Nothing campaign sees George embark on a rough night as he looks to protect his precious coffee. Starting in the stylish Nespresso boutique on London’s Regent Street, George’s adventure begins as he strikes up conversation with an attractive female over a cup of Nespresso coffee. Sadly for him, she is the wife of the ‘boss’. And so ensues an eventful evening, courtesy of the ‘boss’, played by ‘Pirates of the Caribbean’ and ‘Deadwood’ star, Ian McShane, which sees Clooney take a trip through the backstreets of London. The following morning we see a dishevelled George in his home savouring his Nespresso coffee, as he lets the audience know that he ‘wouldn’t change a thing’ about his Nespresso experience. 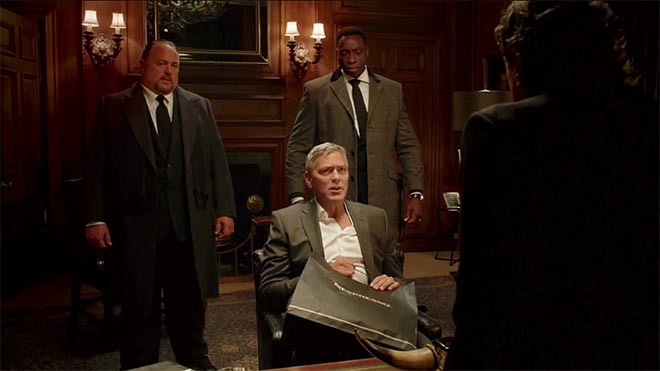 The fully integrated campaign – created with McCann Worldgroup – kicked off with a teaser phase earlier this month where consumers were invited to guess what fate awaited George Clooney. Alfonso Gonzalez, Chief Customer Officer for Nespresso, explains: “Our relationship with George strengthens year on year, and in our twelfth collaboration, we have created a storyline that shows Clooney at his best. He is a true partner for the brand, and here we see just how far he is willing to go for that incomparable Nespresso coffee experience”. 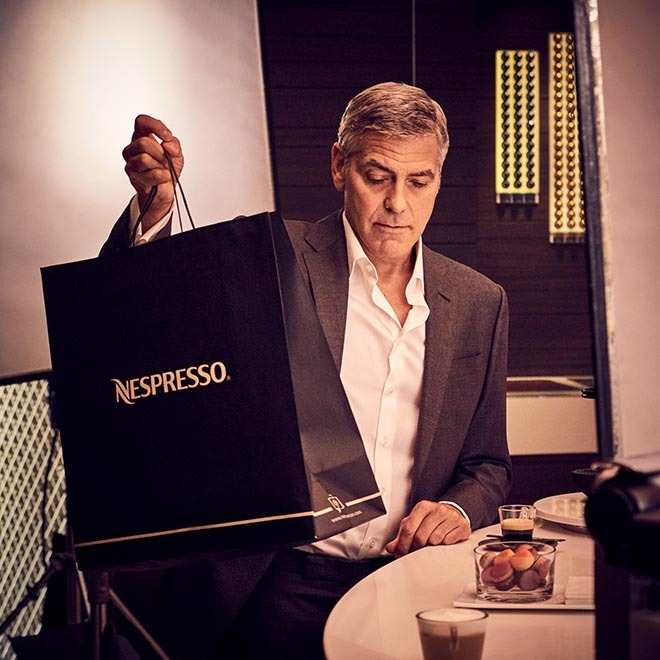 Asked about his continuing partnership with Nespresso, Clooney responded on set, “We always look to take the story to the next level and in this latest instalment I think we can say that it is certainly my most eventful outing to date. Bringing a more character driven approach mixed with humour has really taken the campaign to a new level”. The Nespresso Change Nothing campaign was developed at McCann New York and McCann Paris, by executive creative director/copywriter Larry Platt, executive creative director/art director Lea Ladera (NY), executive creative director Riccardo Fregoso (Paris), global creative director John Mescall, copywriter Ben Homsey (Paris), art director Flora Sagnes (Paris), chief strategy officer NA Steve Zaroff (NY), global strategy director Melanie Huggins (Paris), EVP director of business affairs Danielle Korn (NY), global business lead Fiona Ferrier-Weil (Paris), TV producer Annabel Dauphin-Kuentzmann (Paris), global digital account director Claire-Anaïs Decarli (Paris), digital producer Adelyne Cazot (Paris), art buyer Véronique Leblanc (Paris), global account director Krisztina Palmai (MWG), global account executive Dominika Hanshen (Paris), working with Nespresso chief customer officer Alfonso Gonzalez, global brand identity and creative development manager Anna Lundström, global communication campaign manager Carlos Oyanguren, global brand ID and creative development project manager Adrien Salib, and global communication project manager Chloé Nahon. PR was handled at Weber Shandwick, London. Filming was shot by director Grant Heslov via Moonwalk Films, Paris, with director of photography Robert Elswit, photographer Nigel Parry, producer Alexis Bensa, and line producer Franck Servoz. Post production was done at Big Sky Edit, New York and Nightshift, Paris. Music was produced at Capitaine Plouf, Paris, and BigSky Edit, New York. Making of production was done at Riot Production. Making of photography was by Rainer Hosch.